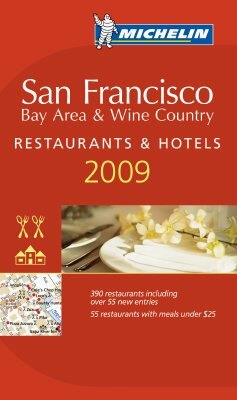 Today the 2009 Michelin Guide Star recipients for San Francisco Bay Area and Wine Country were announced. 32 restaurants received the prestigious Michelin Star honor including one restaurant, receiving the coveted 3 stars, six restaurants receiving 2 stars, and twenty five restaurants receiving 1 star. In addition to featuring the thirty two Michelin star restaurants, the new Michelin Guide features a total of 448 restaurants and 65 San Francisco Bay Area and Wine Country Hotels in the guide. New to the Michelin 1 Star category are Murray Circle, Plumed Horse, Trevese and The Village Pub. Coi joined the Michelin 2 Star category, while Thomas Keller’s French Laundry being the sole restaurant with the coveted Michelin 3-Star. ***3 MICHELIN STARS Three Michelin stars ( ) mean exceptional cuisine, worth a special journey. **2 MICHELIN STARS Two Michelin stars ( ) mean excellent cuisine, worth a detour. *1 MICHELIN STAR One Michelin star ( ) means a very good cuisine in its category. It looks like another year of French Laundry topping off the Michelin Guide for the bay area. I was surprised that Gary Danko did not receive 2 stars. I really enjoy the restaurant and feel the service is superb. I went there recently for my boyfriend’s birthday and it was one of the best meals we had.